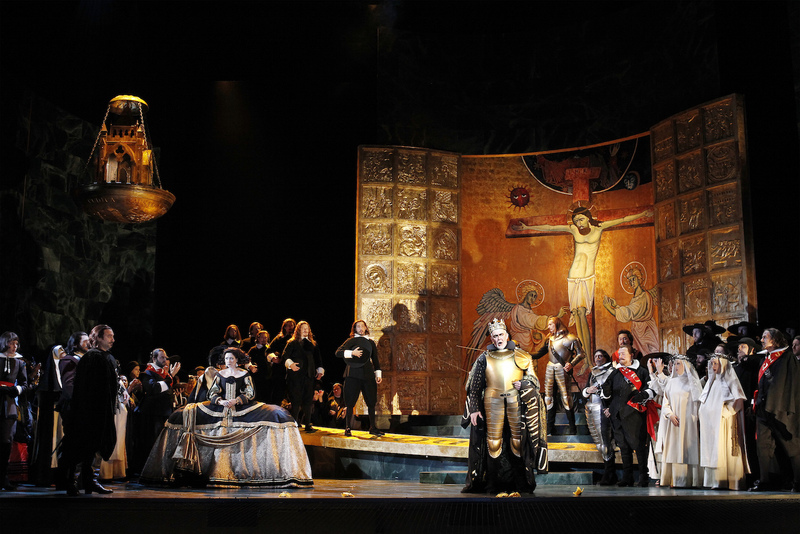 Verdi’s grandest opera is given the meticulous and magnificent treatment it deserves in this most welcome revival, the glittering centerpiece of this very well received Melbourne Autumn season. Beginning and ending in an ornate mausoleum, the spectre of death looms heavily in this examination of the constrictive effect of the intertwined forces of church and state on personal freedom and love. 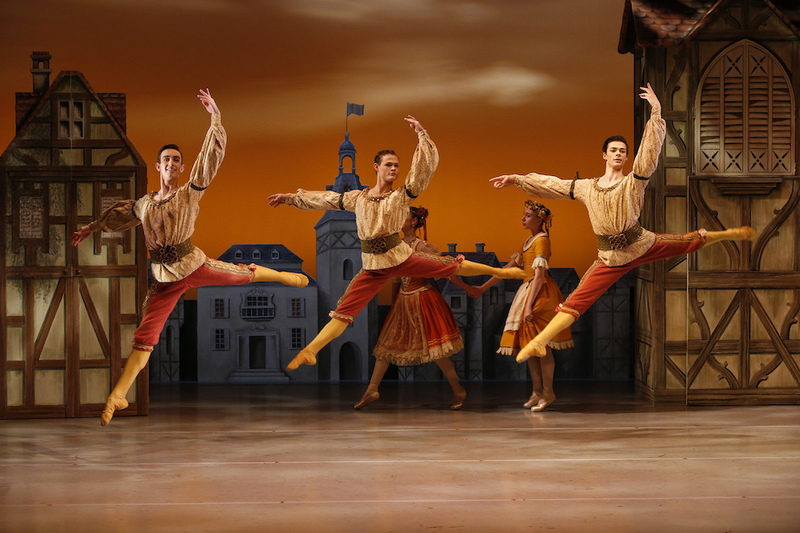 The lengthy running time gives ample breathing space for characters and audience alike to ponder the life and death dilemmas and decision faced by the sixteenth century Spanish royal court. 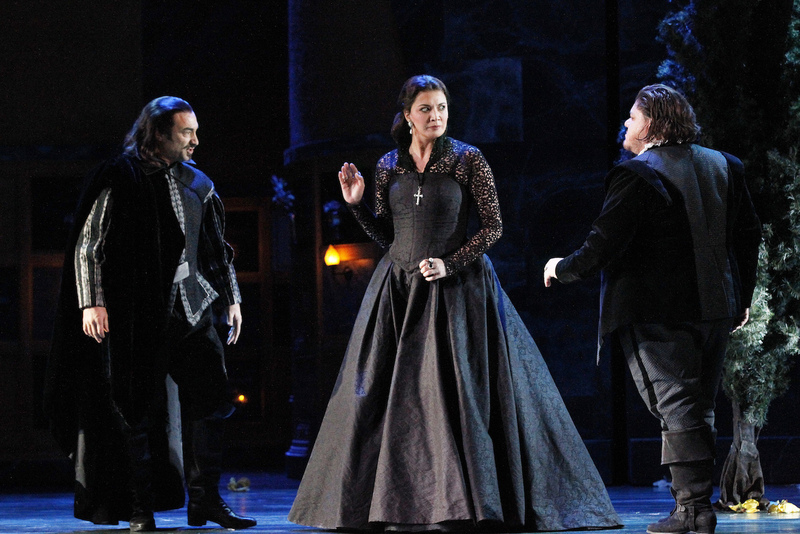 The opera is performed in Italian (despite use of the French title) in the four-act version, which removes the prologue-like first act that shows Carlos and Elisabeth falling in love before her hand is claimed by Carlos’ father, King Phillip. 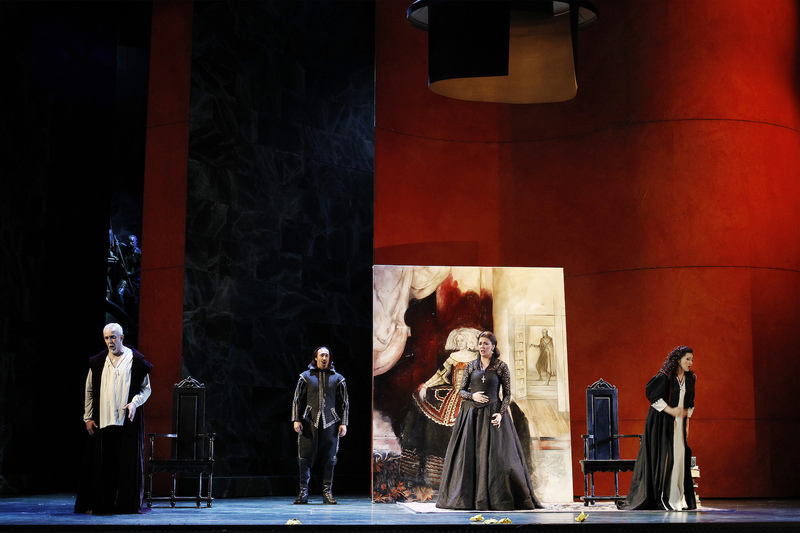 Fortunately, Carlos’ big aria, “Io la vidi,” is moved from the original act one, when he first sees Elisabeth, to become a recollection of that moment in the first act of this version. 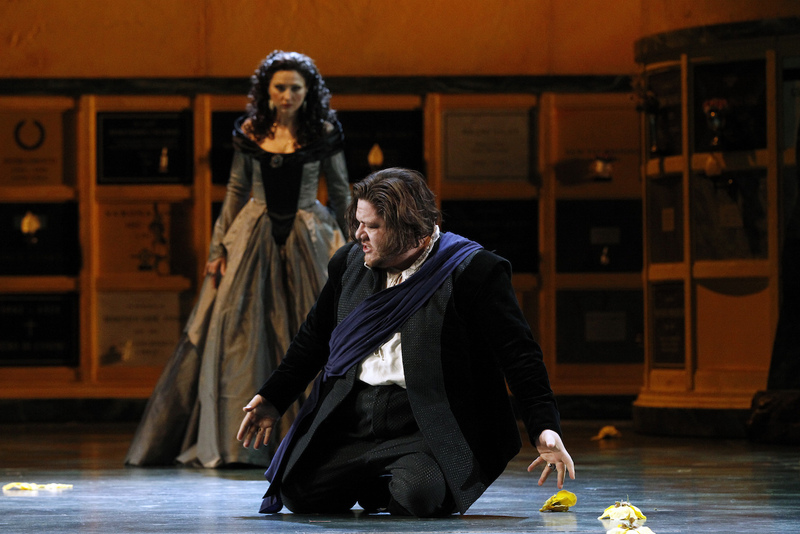 Fast becoming a popular fixture on the Opera Australia stage, Mexican tenor Diego Torre plays his sixth lead role as the title character, again demonstrating the unflinching power of his mighty tenor voice. While singing with great strength, Torre’s physical performance expertly conveys the powerlessness of the heir to the throne and the utter futility of his romantic attraction to his father’s wife. 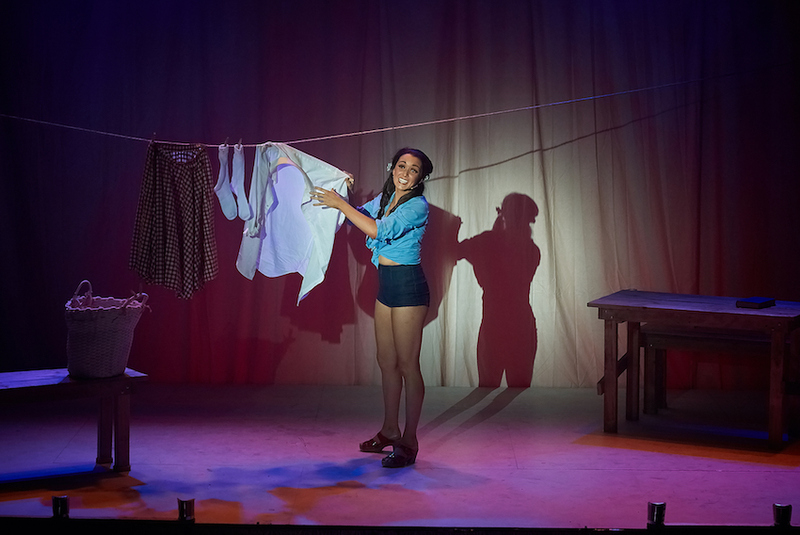 Acting performances are excellent all round, an attribute due, in no small part, to the presence of original director Elijah Moshinsky, who has returned to helm this revival of his 1999 staging. Understanding the power of stillness, Moshinsky eschews unnecessary action for calm, focused scenes, in which the singing and acting talents of his cast are afforded full attention. More than a simple scenic design, Paul Brown’s work on the settings contains many aspects that are closer to works of art than backdrops. The looming green marble of the mausoleum contorts to create the interim scenes before returning for the finale, in which the painful figure of deceased Charles V makes a final ominous visit. The most ingenious aspect of Brown’s designs is the use of intricately detailed panels and sculpture that clearly represent the people’s use of art to display, remember and celebrate their history, ethics and culture. These pieces are absolutely fascinating, and make one long to go on stage and view the works as if in a museum display. 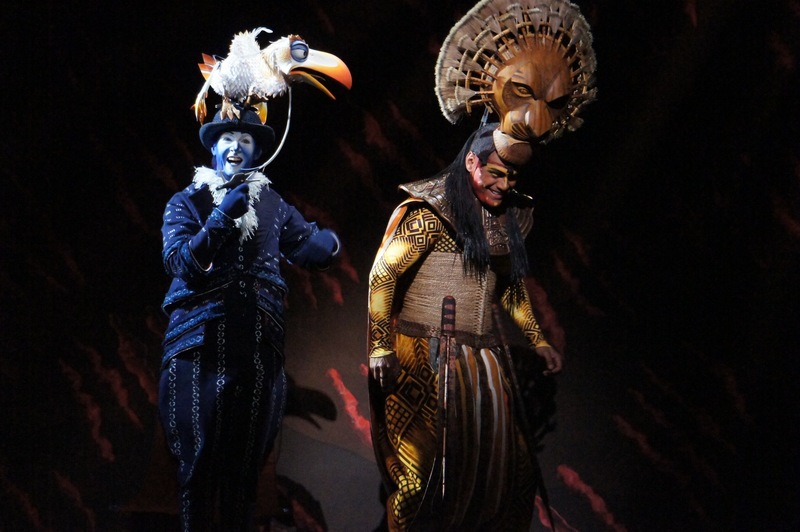 Brown’s costumes are similarly highly impressive, with acres of luxuriant dark silk in use. The extraordinarily wide dresses are seen in their highly decorative splendour whilst also conveying the cumbersome restrictions they made to women’s freedom while supposedly protecting their virtue. Maestro Andrea Licita took a few extra moments at this performance to carefully focus the attention of the musicians before they embarked on Verdi’s score. At 225 minutes with only one interval, the epic challenge is met by Orchestra Victoria with high honours. The brass players, in particular, retain plenty of oomph for forte fanfares right to the end. 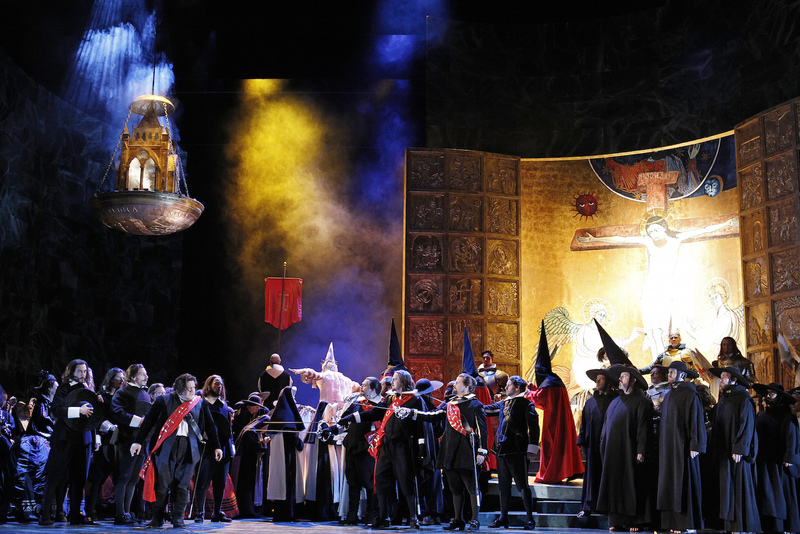 Chorus master Anthony Hunt’s preparation of the Opera Australia Chorus is reliably excellent. The Chorus has a real showcase at the end of act three, and the sound emanating from the stage was nothing short of magnificent. 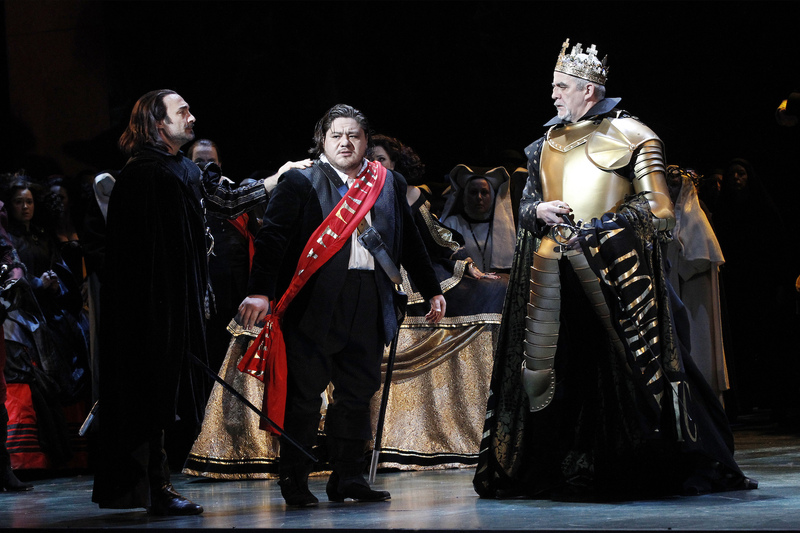 José Carbó is in excellent form as Carlos’ close ally Rodrigo, impressing particularly with Rodrigo’s final aria, “Per me giunto è il dì supremo.” Torre and Carbó enjoy the most hummable tune of the opera, the stirring friendship duet, “Dio, che nell’alma infondere.” Tall and fit, Italian bass Giacomo Prestia brings a commanding virility to aging king Phillip II. After the grand pageantry of the Auto-da-fé, seen just before interval, Prestia’s introspective rendition of “Ella giammai m’amò” is masterful in the use of silence and stillness. Clearly on her way to becoming an operatic superstar, Serbian-born mezzo-soprano Milijana Nikolic (now an Australian resident) gives another stunning performance as the exotic aristocrat Princess Eboli. As in her recent standout performance as Amneris in Handa Opera on Sydney Harbour Aida, Nikolic matches the glorious sound of her voice with a magnetic, intelligently detailed acting performance. With such talent, her extraordinary beauty is simply an added bonus. 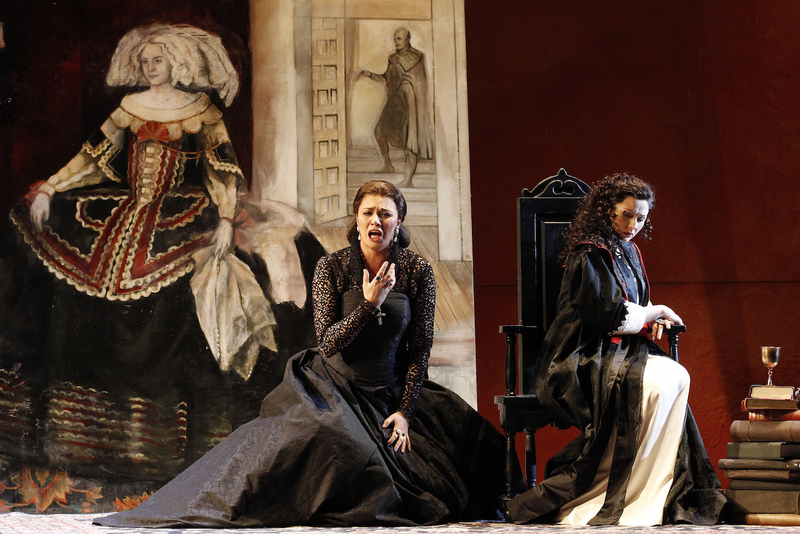 Russian soprano Victoria Yastrebova makes an auspicious Australian debut as the enticing Elisabeth. While her golden soprano is easily of comparable beauty to her colleagues, Yastrebova does not quite cultivate the same presence on stage, perhaps due to her youth. Her rendition of Elisabeth’s final aria, “Tu che le vanità,” is a lovely highlight. Daniel Sumegi looks believably older as the Grand Inquisitor, and, in no mean feat, matches the impressive power and focus of Prestia. David Parkin gives a finely controlled physical performance as deceased Charles V. Special mention to soprano Julie Lea Goodwin, who provides the gorgeous Voice from Heaven.